A new international framework—the Food Loss and Waste Accounting and Reporting Standard—has been launched for measuring, reporting and managing food waste across the world in both private and public sectors. Launched at the Global Green Growth Forum 2016 Summit in Copenhagen, the first-ever global standard to manage food loss has been created through a partnership of leading private and public international organisations. The aim of the summit is to provide a forum to accelerate the delivery of a sub-set of Sustainable Development Goals (SDGs) through transformational public-private partnerships. The standard is expected to help countries monitor and measure their progress on SDGs where target 12.3 calls for a 50 per cent global reduction in food waste by 2030, along with reduction in food loss. “This standard is a real breakthrough,” Andrew Steer, the president and chief executive officer of the World Resources Institute (WRI), said. WRI is a global research organisation. An estimated one-third of all food (approximately 1.3 billion tonnes) produced in the world for human consumption every year is either lost or wasted even as more than 800 million people are undernourished. 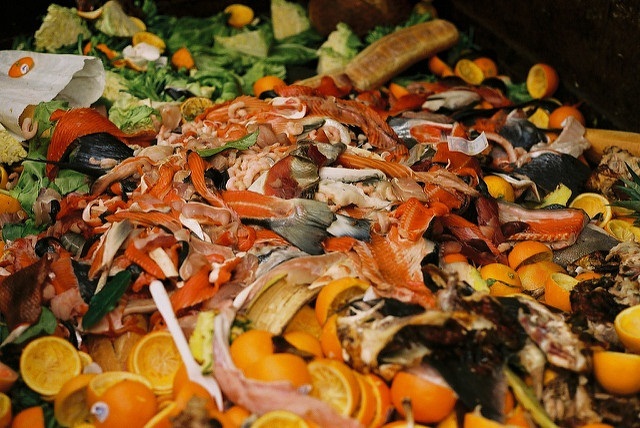 According to the WRI, food loss and waste cost up to US $ 940 billion a year worldwide. 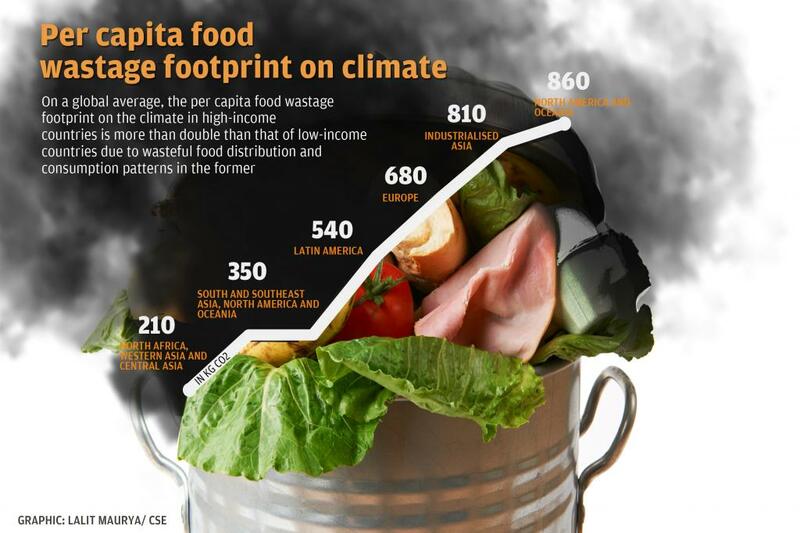 Global food loss and waste annually generates 4.4 gigatonnes of carbon dioxide (C02) equivalent or about 8 per cent of the total greenhouse gas (GHG) emissions. This means that the contribution of food wastage emissions to global warming is almost equivalent (about 87 per cent) to global road transport emissions. If it were a country, food loss and waste would be the third-largest GHG emitter behind China and the United States. A recent study conducted by the Potsdam Institute for Climate Impact Research, Germany, shows that the global food surplus may increase up to 850 kilocalories/capita/day while the total food requirement will only increase by 2–20 per cent by 2050. Consequently, GHG emissions associated with food waste may also increase to 1.9–2.5 gigatonnes of CO2 equivalent per year. At present, there is not enough data at the national and regional levels on how much food is lost or wasted or where it occurs. Without sufficient data, it is difficult to account for the problem and develop effective strategies to prevent food wastage. The Food Loss and Waste Accounting and Reporting Standard will help quantify food and/or associated inedible parts removed from the food supply chain. The standard is voluntary and designed for users of all types and sizes, across all economic sectors and in any country. The development follows the resolution adopted by the Consumer Goods Forum last year. In June 2015, more than 400 of the world’s largest retailers and manufacturers from 70 countries had agreed to halve food waste by 2025. The FLW (food loss and waste) standard is an important tool that will help in achieving this ambitious target, Peter Freedman, the managing director of Consumer Goods Forum, told the media. For the past three years, food major Nestlé has played a significant role in developing the standard as a tool that can be adopted by nations worldwide and help in cutting down losses from farm to fork. According to a recent estimate by the UK-based Waste and Resources Action Programme, reducing consumer food waste can save between US $120 and 300 billion per year by 2030. This will require a 20-50 per cent reduction in consumer food waste.